If you are female and you metal detect, you are probably aware that most websites and FB pages cater to the male detectorist. This is understandable considering the percentage of men involved in the hobby, but c’mon, there are women out there who enjoy detecting too! 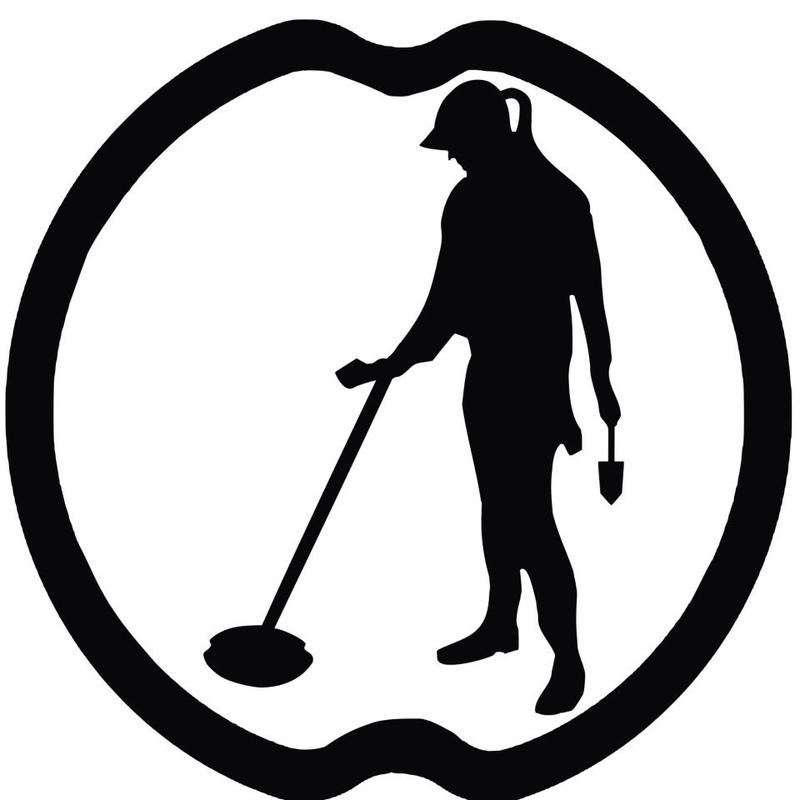 Since I couldn’t find a website which catered to, or even acknowledged the female detectorist (aka detectorista), I decided to create one myself to share experiences, knowledge, finds & photos with other detectorista’s. Of course men are welcome here too–my machine discriminates, but I don’t. Thanks Mike–see you at the meeting! A member of the DETECTORISTA … I like that! Have made a note and will use it in a piece of writing sometime! This is great Allyson! Can’t wait to see it take shape and take off! Thanks Stacey. See you in the a.m. We “will” find a detecting shop on the way! Hey Allyson, great site. Keep up the good work. Thanks! Is this the hottie I met at Greenwich? Here in the UK most “men” have decided that the E-Trac is far too heavy for them (excuse me while I chortle) and they have given them up in preference to the XP Deus. Well maybe if they could see that the average US Detectroista (good word, sounds so less sexist) uses one as the norm, they would be a little red faced…. and so they should be. I have been toying with the idea of owning an XP Deus as an accompaniment to my E-Trac due to its lightening fast response and recovery time but, as you know, what you are given in one hand you have to usually give up something with the other and this happens to be true of the Deus too. It may find signals very close together at speed but, it also loves those deep horse shoes and large iron rings, oh and lets not forget the coke problem. I have seldom if ever dug the above mentioned bad targets with my E-Trac. To combat the slow recovery speed I just slightly slow the swing speed and this more than compensates due to the fact that when your swinging slower you can be so much more precise, covering more of the line your walking and also keeping the coil low and stable to the ground giving greater depth. The only plus point I can see with the Deus is that it does seem to work well on freshly ploughed soil. The XP Deus is a fast machine, much lighter than the E-trac, and I’ve seen it in use in our farm fields over here with much sucess. In terms of the freshly plowed soil, I think that most high end machines perform well in freshly plowed soil, as it allows the eddy current to penetrate the ground more efficiently than in compact soil. As for me wielding an E-trac–it can get a bit heavy at times, especially after a few 6 or 7 hour days. I thought it was the English part of my ancestry that was responsible for my endurance. I might have to rethink that now. Awesome site you have going her! Lots of good info. Keep up the good work! Very nice website and good job! I’m a 39 man from Argentina but now living in the north east of Brazil. I’m still a novice in this hobby, but slowly I hope to learn and finding wonderful things. What a refreshing awesome page & blog Allyson!! I love it!! Happy New Year from Canada!! Thanks for the kind words Alison, glad you like the site. Detecting is an awesome hobby. Love that name “Pink Power Ally”. Honestly – You are the first woman that I have ever seen or heard of that enjoys detecting other than Ric Savages wife on that TV show he has. I’m not sure why it is so male dominated, I would love for more women to get involved and I think it is great that you obviously enjoy your detecting so much. I don’t get it either John. It’s such a cool hobby. I think it might have something to do with the hunting instinct. Most women I know that enjoy it have Scandinavian roots–maybe it’s the whole Viking thing. Or the leftover foraging gene. Got me. On a side note, it’s very difficult to maintain a relationship with a man if your female and detect, unless they are very secure, or detect themselves. In my experience I have found they can get very jealous of the time you spend out in the field with other men. They much prefer it if your at home knitting, baking or cleaning something while they sit in front of the TV with the remote. Hiya, I’ve often seen or heard of your presence around the metal detecting blogs and sites, but this is the first time I have actually spent some time looking over your site and i must say I enjoyed it very much. Keep up the good work and happy hunting. Thanks Janner, I’ve checked yours out also, and likewise. Happy Hunting! I just bought a metal detector for my husband and ME. I know that I will enjoy the hobby even more than he will! I’m so glad that I stumbled onto you site, thanks to Google. You are doing a great service for women who detect. Keep up the good work! Thank you for the kind words. I’m glad there is now one more woman who metal detects–woo hoo! Be careful though, its an addicting hobby. Thanks for stopping by and celebrating our 1st year at the store front. I think 2014 will be an interesting year for you and all women in this hobby. A lot of good things coming this year. My pleasure Ron–it was a great day! Nice site Allyson. I am not trying to be difficult or coy, but being a woman detectorista is different than a male detectorist how? Is there a gender difference when it comes to how you engage in the hobby? It has been my experience that detecting is a hobby that is gender and age neutral. Maybe I am not seeing something that is unique to female detectorists. If so, please explain. Thanks! Of course we are different! When we need a bathroom break, we have to calculate all sorts of logistical factors, so the men we are hunting with never realize what we’re doing 🙂 And we aren’t as strong, so we have to invent creative ways to retrieve our targets. I bet you’ll be on your 5th target while I’m still at the first. And… like I say, “my machine discriminates, but I don’t”. All are welcome here, and especially the women, as we are the minority in the hobby, and sometimes its nice, as a female, to be able to relate to other females in the hobby. Thanks for the reply Allyson. I am sorry but the argument that women are weaker and have to go to the bathroom doesn’t fly for me. Believe it or not, men also use the bathroom, and the older I get the more often. With that comes loss of strength. Yet I feel no need to start a special site for ageing detectorists. That being said I can see that being a pretty female detectorist has apparently gotten you a lot of attention and who doesn’t like attention? Love your web site. I too am a sole female detectorist. Tried to join a local group. I called and left a message and didnt get a call back. I assume they determined my gender from my voice and didnt want a girl in the gang. So I am starting to research starting my own group….for any gender and age. I have found so many cool relics like 3 plows from horse drawn single plows, hand forged cow bell, whiskey barrell rings, spoons and other stuff. Some i cant identify. What website do you suggest I go to to identify relics? I suggest any one metal detect. Fresh air, exercise, piques interest in history and preserves historical items. Thanks, Dad, for getting me started! Sorry for the delay in reply. I used to get an email when someone posted a comment, something must be broken, ’cause I haven’t been getting notifications. Clubs are usually run by volunteers, so don’t expect speedy service. If they have a meeting time and place listed, just show up. I have found most of the clubs to be very women friendly, although you may be the on,y woman member. Fellow club members usually have a lot of experience identifying your finds, and are generally happy to share they’re knowledge. If you don’t have a club, the Facebook group “wtf is it” is a great place to post a pic of your mystery relics. That’s where I post mine. Let me know how it goes, and happy hunting! Hi! I’m so glad to find you! I’m here in Central NJ, Lawrenceville- and I cannot find anyone around here to go hunting with. .. Let alone women. Thanks for the invite. You can contact me at detectorista@gmail.com, maybe we can work out a hunt date/place. This is awesome!! I love metal detecting! Thanks for the site ! Ed Here from CT also. I have lived and been detecting in the NW corner of the state. Right now I am living in Plainville. While I was living in Litchfield for 15 years, I have found a motherload of cellar holes from the Revolutionary war. Oliver Wolcott (Signer of the Declaration of Independence) was entombed just outside my bedroom window. I have studied the history of the time and discovered some very interesting things. It would be fun to plan a hunt in the area. Well, you’re right around the corner from me. Litchfield must have been a great place to hunt, lots of old places. A hunt sounds great–why not join the local club, they meet in Wethersfield. Please somebody come to NJ and hunt with me!! Gals where are you?! Lawrenceville- between Princeton and Trenton in Central NJ. What a great idea! I am a woman and for my 61st birthday earlier this month all I wanted was a metal detector. And yes, I received one! We are having a very mild winter here in Maryland so I have had the pleasure of being out a few times. I am still learning my new machine and love it! Spring can’t get here fast enough. In the meantime I am scoping out more places to hunt. Yes, a budding “detectorista” here!! Love it! Welcome to the wonderful world of metal detecting! I think you’re going to have a lot of fun with your new machine. It’s an addicting hobby, but a healthy one. I wish I had started detecting 20 years sooner, but I’m still thankful to have discovered it at all. I can’t even remember what I used to do with my free time before I got into this hobby. I wish you much success, and feel free to contact me any time, and please send pics of your finds, or post them on my Facebook page. Happy Hunting! I have to ask, where have you been all my life?? LOL. In all seriousness, love this site and am looking forward to reading new posts and hearing about your new finds. I’m also relatively new to detecting and don’t have a fancy machine (just a Bounty Hunter Tracker IV), but I’ve found some pretty amazing things with it. My best find so far is a revolutionary war era grapeshot. Today, I found what I believe to be a civilian gilt flat button that looks to be dated in the 1800s, but it needs some more cleaning before I can narrow it down further. If you’re ever in Vermont and wouldn’t be embarrassed to hunt with someone who has a Bounty Hunter, let me know! I’d be thrilled just to watch!